SQL Server is a relational database server, developed by Microsoft. It is a software product whose primary function is to store and retrieve data as requested by other software applications. SQL Server 2005 , released in October 2005, is the successor to SQL Server 2000. It included native support for managing XML data, in addition to relational data. For this purpose, it defined an xml data type that could be used either as a data type in database columns or as literals in queries. 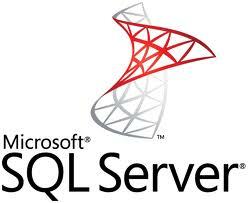 The next version of SQL Server, SQL Server 2008,was released on August 6, 2008 and aims to make data management self-tuning, self organizing, and self maintaining with the development of SQL Server Always On technologies, to provide near-zero downtime. "Some Frequently Required SQL Commands"
Support for structured and semi-structured data. Support email, time/calendar, file and document. Support spatial datatype[Geometric and geographic] for geographic and location related data. Perform fast search, query, analysis, sharing, and synchronization across all data types. Support for database backs up or restores the referenced files as well. SQL Server 2008 also natively supports hierarchical data.